The odd-even road rationing scheme is back in Delhi. According to latest reports, this scheme will be enforced from November 13-17, which means cars with license plates ending in odd and even numbers will be allowed to ply on alternate days. As the city gasped for breath due to worsening smog, the Supreme court-appointed Environment Pollution Prevention and Control Authority (EPCA) recommended a slew of measures, including four-fold increase in car parking fee, car rationing through odd-even rule and improvement in bus and metro services. Now, the question on every Delhiite’s mind is whether this decision on odd-even car rationing is backed by a well thought-out plan for boosting public transport facilities. Improving bus services in the capital is essential for the success of odd-even scheme. In fact, on March 4, 2017, Delhi Chief Minister Arvind Kejriwal said that his government would focus on improving the city’s public transport system before enforcing any restrictive measures such as the odd-even plan. The government, during the 2015 Assembly elections promised to add at least 5,000 new buses by 2020. However, according to the latest review by Union Road Transport and Highways Ministry, there has been an 8 per cent reduction in Delhi Transport Corporation’s (DTC) average bus fleet. The DTC had 4,977 buses in 2014-15. It reduced to 4,564 buses—or 413 fewer—in 2015-16. Not only that, even the average operational fleet of DTC buses reduced from 4,180 in 2014-15 to 3,817 in 2015-16. Moreover, there has been a 30 per cent dip in registry of buses: from 1,254 buses in 2013-14 to 877 buses in 2016-17. Delhi has just 272 buses for one million people and over the past five years, the city has seen 26.5 per cent decline in bus fleets. The city currently needs 11,000 buses for all its areas to be covered. In August 2017, the Delhi government began the process of purchasing 1,000 new buses, which will hit the roads in the summer of 2017. That does not offset the immediate shortfall of buses on the roads. Even after adding 1,000 new buses, the city will be short of nearly 3,700 more buses to cover all its 865 routes. 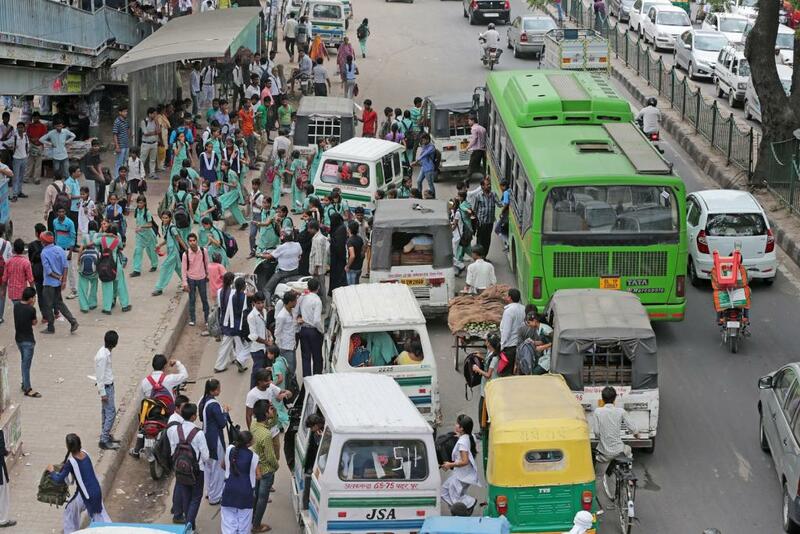 In 2007, a Delhi High Court order said that the city needs at least 11,000 public buses. A decade has passed since then and Delhi is only left with a fleet size that is less than half of what was required back then. Even though the odd-even car rationing scheme, which cuts down vehicular traffic almost by half, was implemented twice in 2016, poor public transport facilities proved a roadblock in successful implementation. Existing bus users want more buses to be added to the system so that public transport becomes as attractive as personal vehicles to make a shift.